If you were picking a hero, perhaps you would look first to Brayden Point, the player with 39 goals. After all, he's fifth in the NHL in goal-scoring. Or maybe you would pick Steven Stamkos, who has 38 goals. After all, he's sixth in the NHL in goal-scoring. Or could it be Nikita Kucherov, the points machine? He's now up to 37 goals, which puts him ninth in the league. 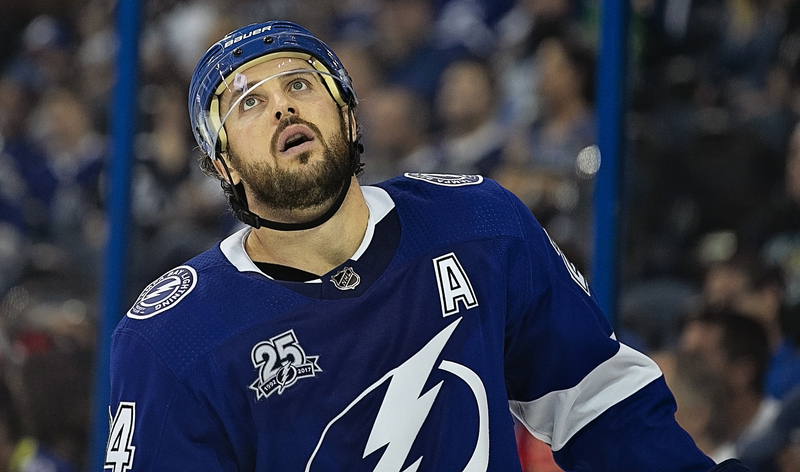 Odds are, you probably wouldn't have picked Ryan Callahan, the forgotten Bolt. 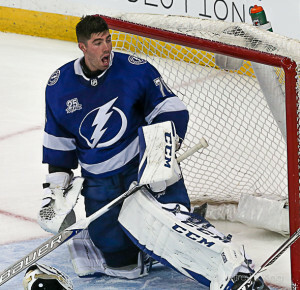 Callahan, playing in his first game since March 9, knocked in the winning goal Thursday night lead the Lightning to a 6-3 win. Callahan took a pass from Victor Hedman to score as the Bolts won yet another comeback. The Bolts have to win four of their final seven games to set a new scoring record with 132 points. Their current level of 120 makes them one of 10 teams to score 120 or more. Only three other President's Trophy winners (and a tie with Washington) have scored more points. The Bolts are now 8-10 on the season when trailing after two periods. Besides Callahan, the Bolts got goals from Stamkos, Point, Cirelli, Tyler Johnson and Ryan McDonagh. They now have a franchise record of 292 goals on the season. The Bolts swept their back-to-back effort against Washington and Carolina, scoring 11 goals. "Against two unreal opponents…" Lightning coach Jon Cooper said. "You look at the standings, and Carolina’s been the hottest team in the calendar 2019 aside from maybe us and Boston. To play a back-to-back on the road, especially what I’m most proud of is how we played in the third down a goal. Lightning goaltender Andrei Vasilevskiy had the night off, but continues to lead the NHL with 36 wins. Backup Louis Domingue, however, won his 21st game and is now 20th in the league in victories. Cerilli's goal tied the game at 3-3. The Lightning conclude their road trip Saturday when they take on the St. Louis Blues at Enterprise Center. The puck is scheduled to drop at 8 p.m. Eastern. Gary, we continue to see the caliber and depth of the talent of this team. Will we be able to trithfully say that this is the best group of players that the Lightning have ever had in it’s history and dose it all depend on what happens in the playoffs? We’ll only remember it as the best team ever if it finishes the job, as the 2004 team did. Yes, they’ve had a better regular season, and yes, that 2004 team had a weak playoff draw. But there is extra credit when you win the Cup. Now, if this team wins it all, they’re the best. If they’re champions, you remember all the parts to a season. But if they lose in the early rounds, we’ll just remember how hard they fell. Sadly, that’s the way of the world. Next post: Ask Gary: Can the Lightning hold onto Cooper? Could the Bucs be looking at linebackers?